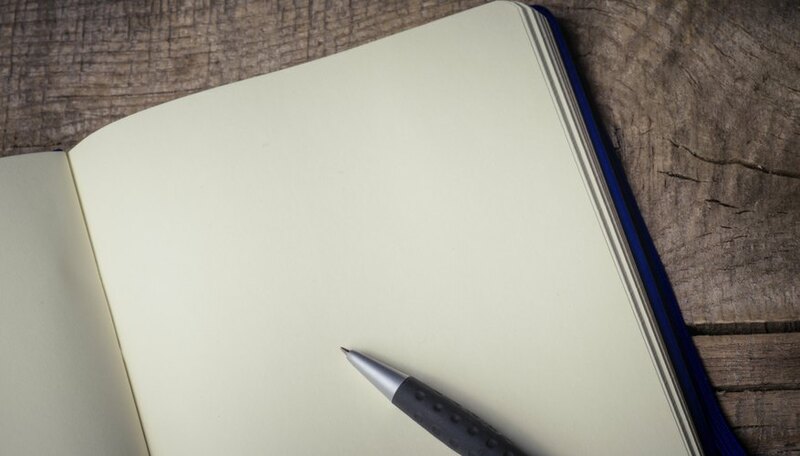 Keeping a diary not only helps you keep track of important events, but also develops your writing skills. Writing in a diary can also be very therapeutic; when writing only for yourself, you can express feelings you might not feel comfortable sharing with anyone else. Like any other hobby, though, writing in a diary can be an easy habit to fall out of. Getting the most out of it requires commitment and a little forethought. In order to keep a journal, you'll need a few basic things. Most obviously, you'll need something to write your thoughts in. This can be a physical diary, a looseleaf binder or an electronic record such as a blog or a file on your computer. The important thing is that it be something you're not likely to lose; there's nothing more demoralizing than writing your thoughts down for months and then not being able to find them. You'll also need time to write. It can be hard to fit even a small amount of writing into a busy life, so make sure you assign time for it every day. If you can't rely on always being at home, carry your diary with you. Set aside some time to write. It doesn't have to be absolutely every day -- you can give yourself a day off now and again if needs be. Although it might seem obvious to do your writing before bed, it isn't always practical; if you're too tired, you may not feel like you have the energy. You don't have to write at the same time every day, but do make sure to leave some time between sessions -- after all, you'll need something to write about. Mark each entry with its date; this will be useful when you reread them, but will also help keep you motivated to write every day. Some diarists simply sit down and write about the first thing that comes into their heads at the end of each day. This type of "freewriting" can be very creatively rewarding, but many people require a little more structure. A writing prompt can help get the creative juices flowing. Select a few that you like from the links in the Resources section and jot them down in your journal to help motivate you. Novelist Virginia Woolf said that she reread her own journal and "found the significance to lie where I never saw it at the time." Rereading your own writing at a later time can give you a new perspective on past events or help you remember forgotten details. Keeping a diary or journal doesn't have to consist only of writing. You can add mementos from your day to create a hybrid of diary and scrapbook. Ticket stubs, photographs, letters and other documents can all help to bring back vivid memories of a particular experience.